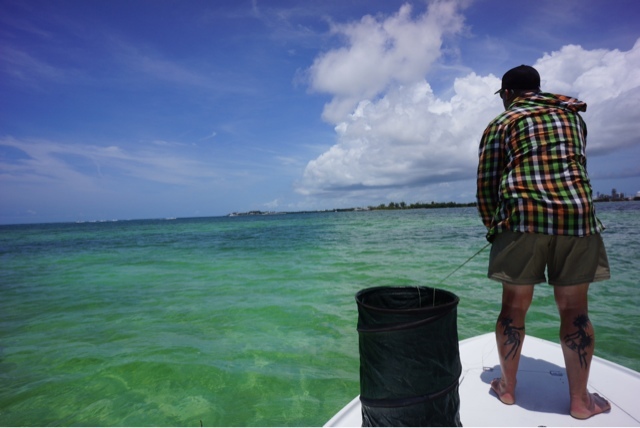 It has always been a bit of a dream to go to Florida and fly fish for Tarpon. Why? Maybe it's just guiding so many people who have been there and recommended it, tempted fate. Also know it is not known as the easiest place in the world to catch a Tarpon - so for me that makes it even more of a challenge. Friends have been there over the years and in 10 - 14 days guided fly fishing 2 fish landed has been the norm, although many have also blanked. Many have hooked and jumped fish but never get them to the boat. A very kind customer this year recommended that I must go and experience the fishery and offered to help me out when I get there with his knowledge and use of his own flats boat. 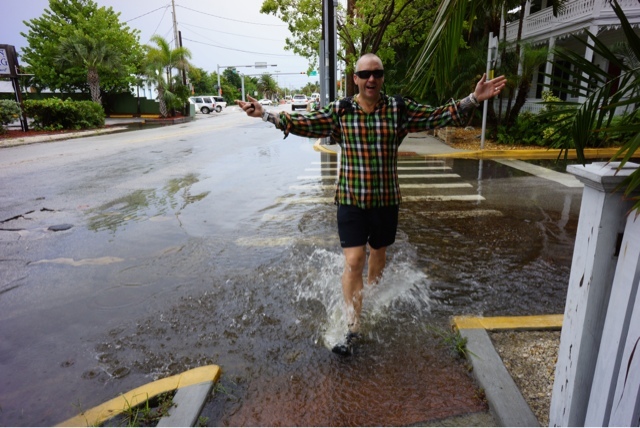 Arriving in Key West and it was raining - soon dampens my thoughts a wee bit. Now my friend would also not be able to make it and my fishing plans were not going to be as smooth as I had hoped. Realizing that not having local knowledge and use of a flats boat it was time to scramble around and see to hire some guides. 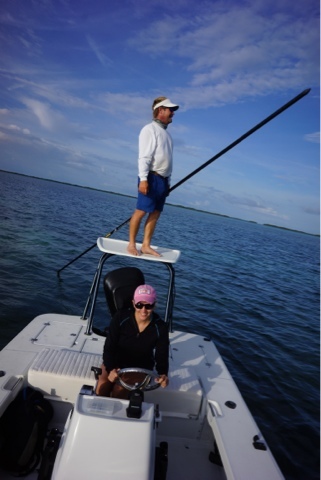 Most of the guides were booked out even though there is over 150 guides working on the Tarpon and Permit fishery with many more out of star guides - also coming working the area during the busy season May - June. But with some more great help, a few good guides were available for the odd day here and there. Over the space of ten days most of the days guiding that I had managed to book were cancelled due to the rain, clouds and strong winds. This made me realize that no matter how the conditions can be in NZ, very rarely I need to cancel a guided trip as there is always a place to fish somewhere. Down here not so, the ocean does not have many hiding places. In total, I got out 4 days. The first day out was a dream day - sun, no wind, no clouds. We staked out a clear white sand flat amongst turtle grass in a known tarpon migration channel. It was not too long before I got a glimpse of my first Tarpon. The size of a grown man with a mouth that could inhale a 40 inch pizza in one gulp!! Over 120lbs - Bear, my guide, estimated. Cast! Cast! he shouted, one o'clock, 60ft etc. I fumbled with excitement and did my best to get a cast out. The fly landed, I stripped it and the huge shape swam past. It was then when I realized now what happens if I hook such a thing!! 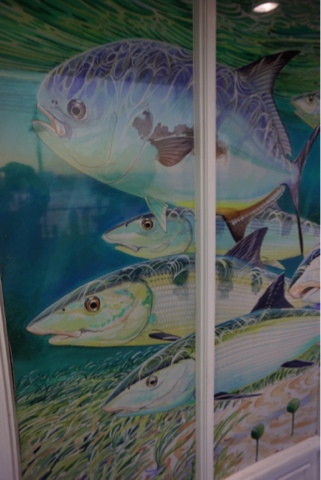 I also realized that the tarpon were not actively feeding as such and you have to sort of force feed them your offering and make them remember to open their mouth and eat. Over the next 3 days of tarpon guiding, I got 4 - or so - fish to have a look at the fly and for me that was even awesome. It was just awesome to be there and experience the fishery and the stories of the guides and fly shops. Weather is weather and it is always a gamble. This time the unpredictable weather and the tarpon won. And yes, I would still love to return some day, so I best start saving as it's not the cheapest place to go in the world. The very last day we probably also should have cancelled but Rob, my guide, reckoned we should try the backcountry side of the peninsula for permit. Despite the rain we wrapped up and headed out and I was just so happy to be out the motel. After 4 hours of slowly poking along staring for fish in the overcast conditions, a forked tail of a permit broke the surface. I made the cast and Rob's secret shrimp fly descend into the path of the permit. A few twitches and a strip strike and all hell, let loose. After some strong blistering runs and a large knot in the fly line, it somehow managing to go through the eyes of the rod. The battle was nearly won until at the very last moment the permit got wrapped around a rock right beside the boat! Rob jumped in the water to free it but a second too late and the line cut clean on the rock. I was so near to landing my first permit and it was an amazing experience. Poor Rob had worked so hard to get me onto one, he was more upset than me so I had to comfort him with a shot of whiskey. 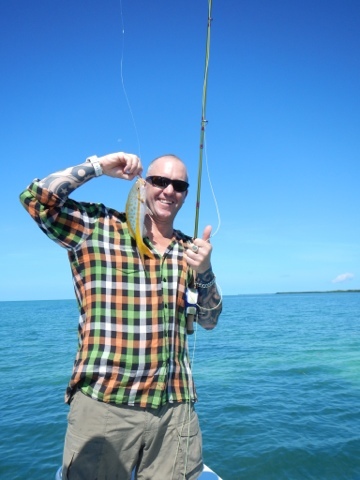 I never knew a guide abusing fish tht much than Rob! 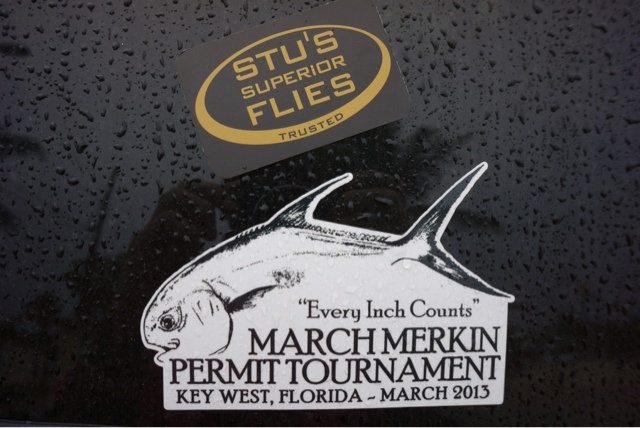 The next day in the local fly shop I realized how lucky I was as 4 weeks previous the world famous March Merkin Permit Competition had been held. 30 of the best permit fishermen and guides from all over the world descending. After 3 days of hard fishing (which equals to 90 actual fishing days), only one permit was landed that won the competition. So now it's time to leave the saltwater, wind and rain behind and head for summer in West America with my tent and my quest for the freshwater permit - yes, the carp! In my first week of camping Idaho, it was freezing one night and the dew on my sleeping bag as I slept under the stars, turned to ice. I even slept with my rain jacket on to keep warm. After many great years Don Fraser has sold his company to Tore Nilsen, ex Manic Tackle. Thanks heaps Don, for all your great work with SAGE and RIO. The shop will be re open in the first week of August. So please wait until then with your orders. Sign up for the newsletter and also follow us on Facebook or Instagram (stusflyshopnz). Keep sending all your great fish photos and comments, it is all very much appreciated.